For me, feeling inspired has its highs and its lows. I go through phases where everything seems to spark creativity and then usually from there it is a trickle effect where inspiration leads to more inspiration. The same can be said for when I am feeling the opposite. It is like a visual funk where I just glaze though images or interiors feeling a long lasting blaaaaa type effect. After I had my baby Grace, I felt unbelievable uninspired. I had been in the house for what felt like months and I started to lack any kind of imaginative process that I am used to feeling. Let’s just say I lost my design mojo. As I slowly started to work again, I even found it a struggle to find inspiration for the blog. I have been feeling down about it, but I had to take a deep breath and just tell myself “you had a baby and to trust in the process”. With that said, lately I’m feeling like I am starting to get back to my inspired self. Recent travel, art shows and interior shoots have given me the boost that I have been looking for (desperately needing is probably more like it). I wanted to share today a few things that have given me inspiration lately. I hope this trend continues because for the first time in about a year I am starting to feel excited about my work and myself. Art: Recently there have been several exhibitions in London that are truly amazing. My top three currently are the Giorgio Griffa ‘A Continuous Becoming’ exhibition at The Camden Arts Centre (image on the cover), The Picasso ‘Love, Fame, Tragedy’ exhibition at Tate Modern and the Andreas Gursky retrospective at Hayward Gallery. More than anything, these shows have given me inspiration to use colour. I have been neutral minded for some time now but I am dying to get for colourful in my designs this year. (The image above was taken at the Phillips Contemporary Art sale preview here in London which is always full of amazing contemporary artwork. 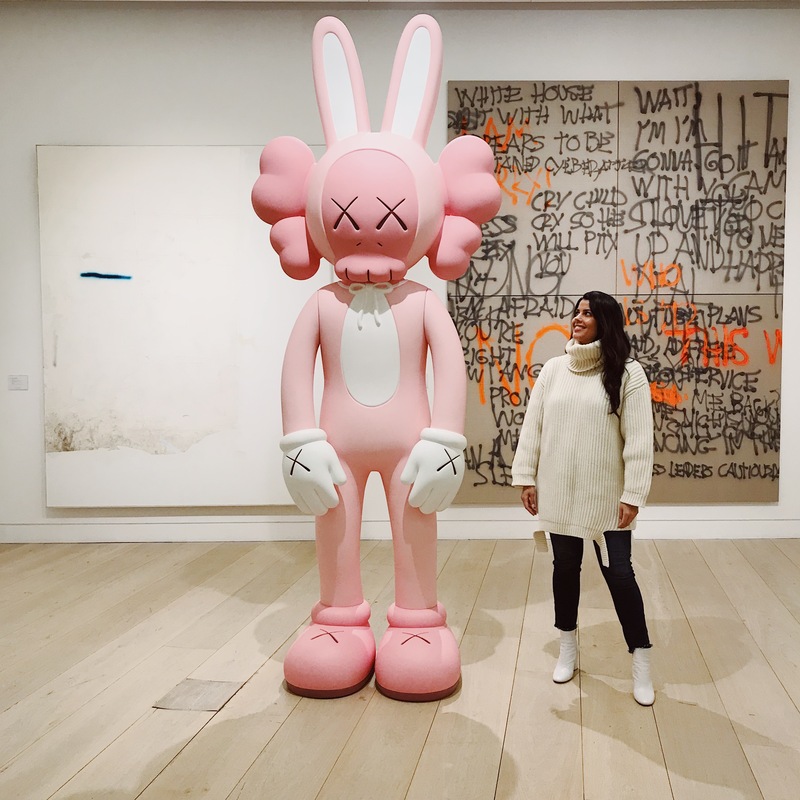 I was posing with KAWS here). 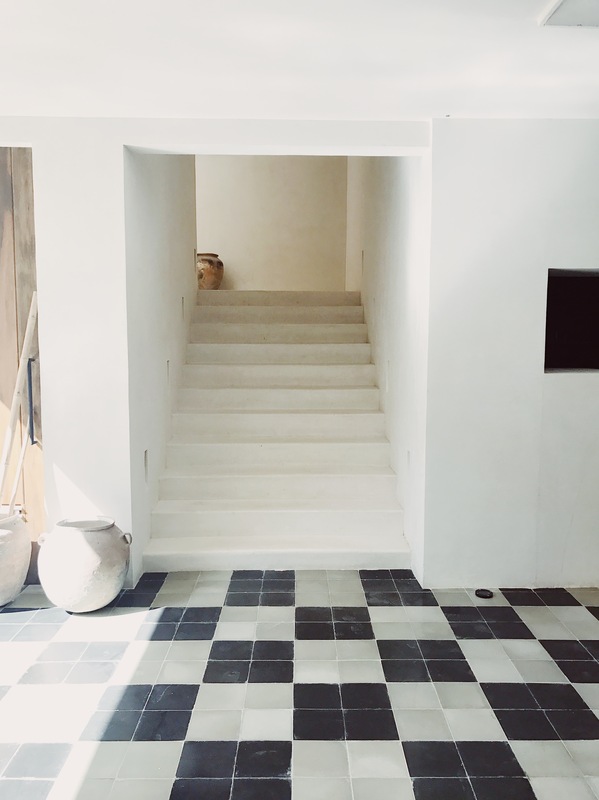 Travel: I recently travelled to Tulum and I have to say that this place really sparked my interior interests (I posted about this trip here). Not every trip does this, but I was really happy and surprised to find such amazing design all throughout Tulum. My favourite spot though was Casa Pueblo, as you can see from the image above, it was a minimalist dream. Interior Shoots: I have finally gotten around to shooting a few interiors that I have recently done. One of my favourites is above (I will share more soon). I love this one because we literally transformed a space with just styling and soft furnishings. I didn’t realise how much we changed it until I compared the before and after pictures. 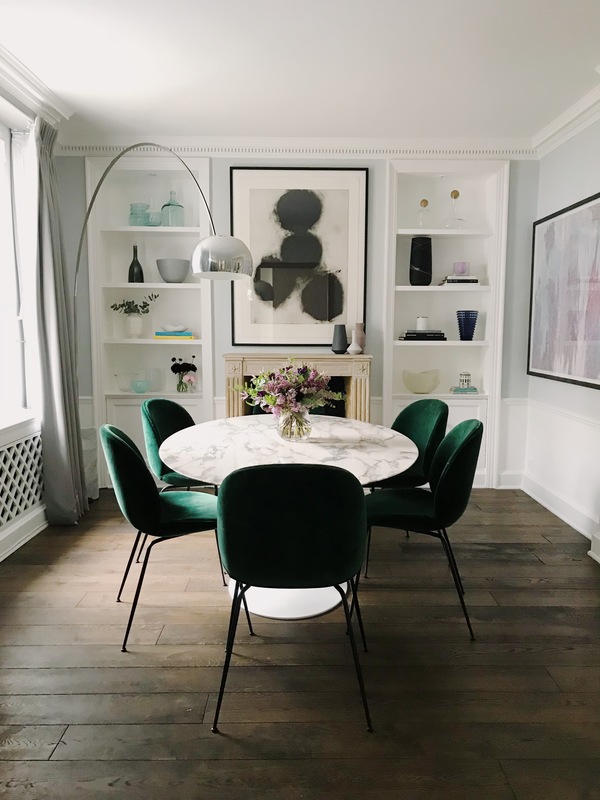 It made me feel excited about the possibilities to create and transform spaces by using minor yet striking interiors changes.